TAS is an acronym for Tax Audit Solutions. We are TaxPayer’s Representatives. 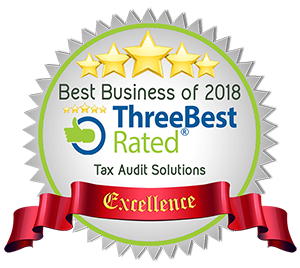 We are a unique company comprised of a team of Tax Experts who work as case managers, tax technical consultants and skilled negotiators. We forensically construct all of our client’s records into an audit ready set of books. We prepare the tax returns based on audit ready books and fight CRA all the way up to tax court. We can represent our client in informal tax court, but not for general proceedings (Large cases.) 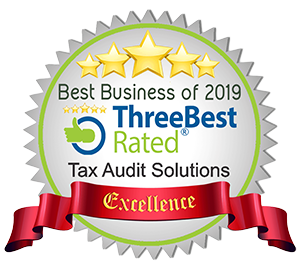 We provide audit ready bookkeeping and offer a Financial Compass Data Interpretation feedback and guidance for our clients in order that they pay a minimum of taxes and do not have to fear audits. To always be Canada’s foremost defender of taxpayers dollars. Our mission is to ensure a best case outcome for all our clients on the written objectives as outlined in the Service Level Agreement (SLA). We are in the business of fighting the tax man for every dollar in taxes that we can save our clients and to ensure that our clients only pay the amount of tax that they are legally obligated to do. We exist to serve Canadian taxpayers in reducing the stress of dealing with CRA and to ensure that they only pay the correct amount of tax. We don’t cost money, we are an investment in unnecessary cost of compliance and tax liabilities. How are we different from other regular accountants and Tax Lawyers? TAS maintains full time monitoring of CRA, actions, policies, and tax court cases. We maintain our own technical consult team. We are full time in this, it is not a sideline income for non tax season work. We have our own proprietary high end, business management and accounting software. We have a business management system that allows us to compete work in less time than other professionals. We believe that Tax Audit Solutions (TAS) is always the best choice as the best value proposition. We are tax specialists and very effective with what we do. Accountants are normally in the business of accounting and doing tax returns. Battling with CRA is not part of their academic training. Accountants often come to us for in dealing with their client’s tax problems. There are basically two kinds for tax law issues; one is civil law and the other is criminal law. Which kind of lawyer you hire will depend on the kind of tax problem you have. If you have been charged with tax evasion, you need a criminal lawyer. If you want to defend your tax strategy for amounts higher than $12,000 in Federal Tax per year, you will need a lawyer to attend in court. In any case audit ready accounting is highly advisable. Lawyers are sometimes sensitive about non-lawyers doing what could be considered legal services. Being that one needs to understand the accounting files they are working on, it makes sense to have an accountant who is a tax representative on your team. In order for us to exist in peace with lawyers and the law society, it is our policy to not be seen as practicing law. We are allowed to fill out government forms that are used in the process of tax disputes but we are not supposed to create them. We can represent clients in informal tax court procedures dealing with how the taxes were determined or disputed. We will not represent clients unless we have done the bookkeeping. Audit Ready Bookkeeping and filling out tax forms is not practicing law, it falls within the description of accounting and defending the accounting. Sometimes it is a fine line of difference between following the law and practicing law. We stay away from practicing law and if we think it may be a grey area we will not charge for any service that could be considered practicing law. Because we do not want to be seen as practicing law, we have never billed for our time in handling “grey areas.” We simply will do what we need to do, to ensure that our clients only pay the correct amount of tax and no more. Not only do we not practice law, we do frequently recommend lawyers where we feel they are needed. Tax lawyers are in the business of practicing Tax Law. TAS is in the business of Audit Ready Bookkeeping and being a Tax Representative Accountant. As your Tax Representative we both work to prevent audit problems and to resolve complex tax problems. You need to get your books audit ready regardless of whether you intend to hire a tax lawyer or not. Tax Accountants need to work with Lawyers to deal with legal tax matters with the Department of Justice. Good Tax Lawyers are great to have, however their fees are often out of reach for the average Canadian. TAS does the time consuming, highly detailed work that saves our clients a lot of money. A Tax Representative is a special breed of Accountant. As your accountant and Tax Representative, we are allowed to represent you in Informal Tax Court Proceedings. Tax Audit Solutions is governed by the rules of the Society of Professional Tax Representatives. TAS will assist you with all types of tax problems. As your Tax Representative, and if your day in court is actually required, we prepare all the accounting records necessary to document your accounting records and reasons for your tax position. This is not a legal service, it is an accounting service. The work we do needs to be done regardless of if you are self-representing or if you are hiring a lawyer. What we do for our clients is the best value proposition for dealing with tax problems. We are not a harvester of leads to resell to the highest bidder.You can tell these marketers because they don’t say who they are and use stock web templates to promote a free consultation… that lead gets sold for the highest dollar. We are not a tax return preparation company. We take on only a small amount of new clients who see the benefit of investing their dollars in being safe from tax audit assaults by CRA. We prefer to leave the regular tax business to accountants who are in that business. Tax problems last all year and we cannot be distracted from defending taxpayers in trouble to do tax returns at tax season. We are accountants, but we don’t hang out that shingle. Instead we work with other accountants helping them assist their own clients. We are not lawyers, but we do litigation support for law firms. Lawyers call us for advice and also send us clients when the normal legal processes are not the best solution to a tax payer’s tax problems.